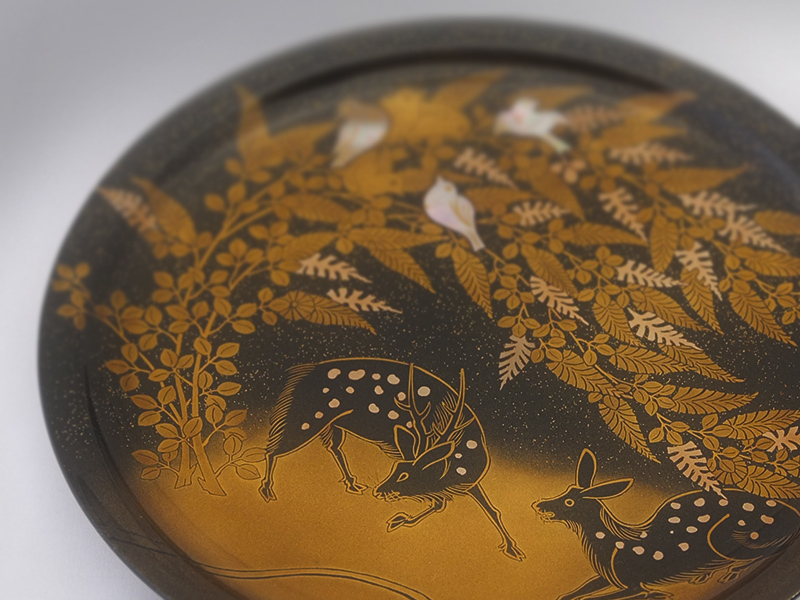 Japanese lacquerware, a craft native to Japan, has a 9,000-year history dating back to the early days of the Jomon period. The people of the Jomon period, fascinated by the bottomless luster of Japanese lacquer (urushi ), were the first to look upon them as vessels of the spirit. Since then, urushi have been used to give glory to the gods, as vessels suffused with spirit, and have been deeply involved in the formation of the Japanese character. In the Middle Ages, lacquerware became popular among the general public and were adopted as tableware, to the extent that earthenware virtually disappeared in some areas. 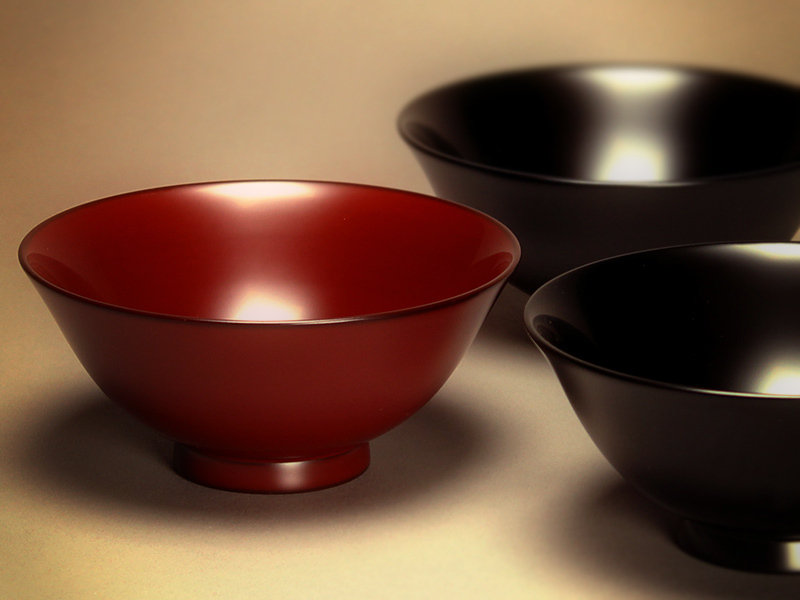 Europeans who made their way to Japan in the late sixteenth century, struck by the bountiful profusion of urushi arts. Today Japan’s lacquer(as a material) production is barely one-thousandth what it was in the early days of the Meiji era. 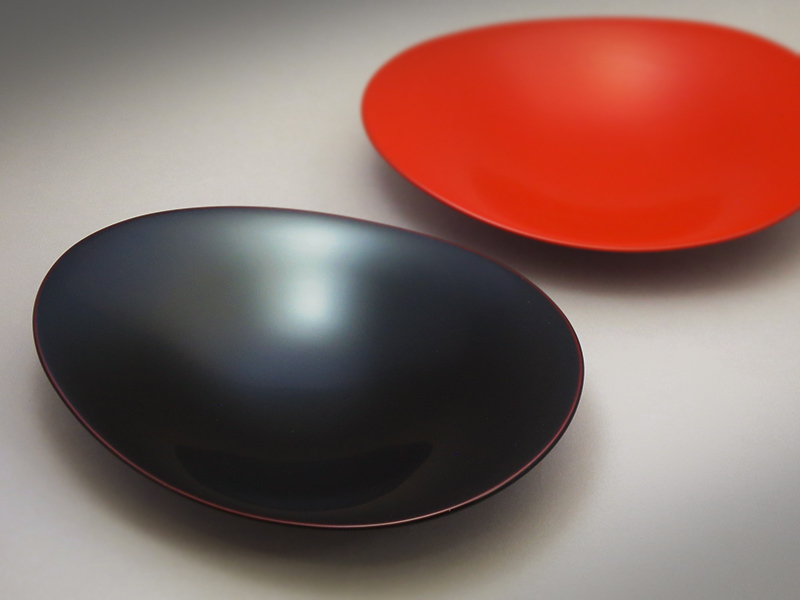 Changes in lifestyle are usually cited as the foremost reason for the decline, but we believe that the people involved in making lacquerware have not been sufficiently diligent in studying the essence of urushi and projecting it into the modern era. The modern way of making things pales beside the methods of the past; there is no future there. 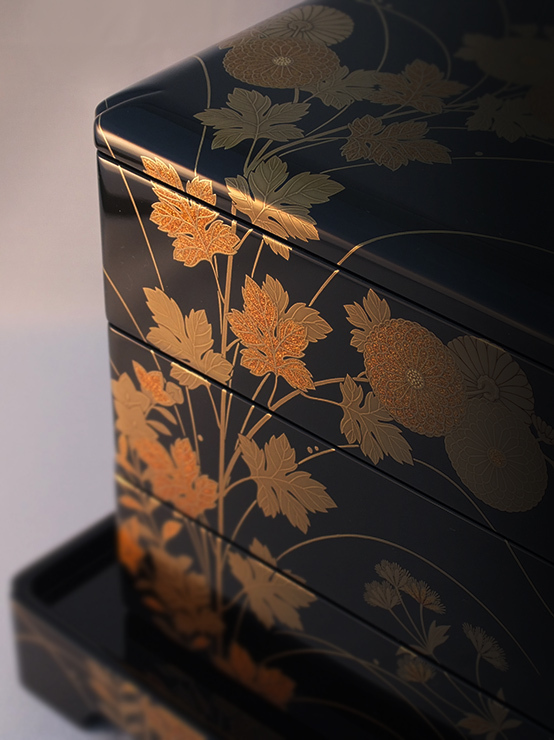 The urushi arts are not only unique to Japan, they are a precious asset of humanity. Transcending the passage of the years, Wajimaya Zenni embraces the challenge of producing the finest work in the history of Japan’s urushi arts. Since it was founded in 1813, Wajimaya Zenni has fostered a culture devoted to improving techniques and sensibilities, based on the cherished family principle that a craftsman should be a person of noble character. 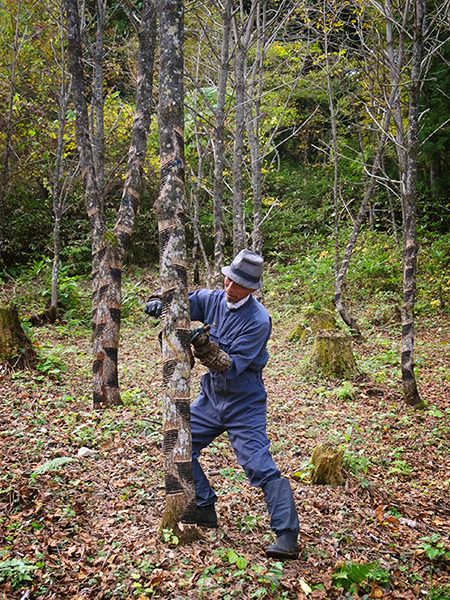 In its quest for the best lacquer produced in Japan, on its own initiative the firm began cultivating Japan’s largest urushi forest in 1997. In 1984 Wajimaya Zenni established Japan’s first design firm specifically devoted to lacquer arts, in an effort to create new forms of beauty with urushi. The finest lacquerware arises from a division of labor between an artist and artisans possessing highly refined skills. The lacquerware producer who controls this process may turn out a masterpiece, but that depends on the aesthetic sense, philosophy, and cultural sensibilities of the producer. 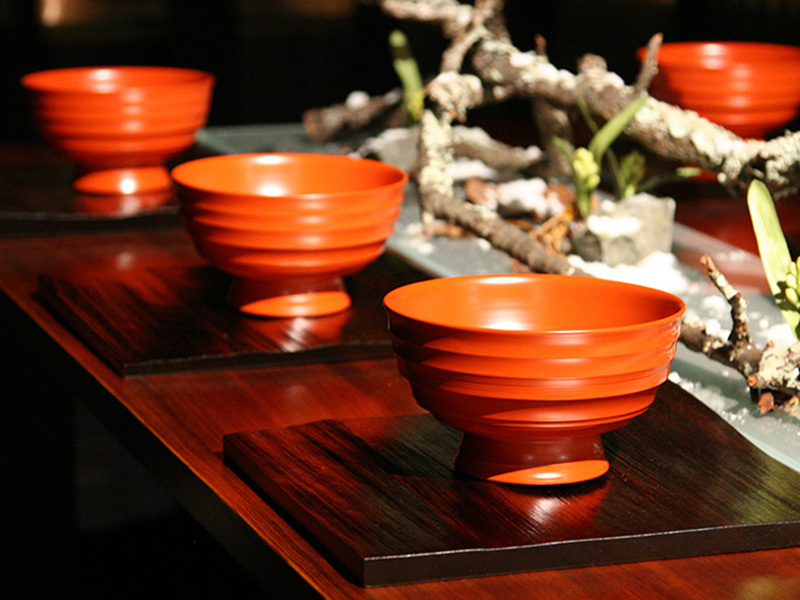 The head of the Wajimaya Zenni family is a producer of lacquerware himself, and through his supervision of materials, techniques, and designs, a consistent philosophy is reflected in our work. Nushi-no-ie (the Lacquerer’s House) which was restored in 1990 as a venue for reconstructing lacquer culture, is regarded by experts as Japan’s most beautiful machiya (traditional merchant’s house), and as such it faithfully conveys the spirit of Wajimaya Zenni.